Hotel rooms at special conference rates have been pre-booked for conference participants and their accompanying persons in Hotel Scandic Sydhavnen Copenhagen. 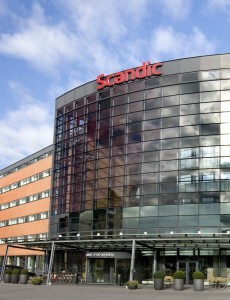 All bookings will be made on a first come first served basis, as long as Hotel Scandic Sydhavn has rooms available. Hotel Scandic Sydhavnen Copenhagen is located 500 meters away from the conference venue, close to the city’s many attractions and sights such as Tivoli Gardens, Town Hall Square, Amalienborg and shopping center Fisketorvet. Within walking distance you will find Vesterbro with many trendy shops, cafés and restaurants. Copenhagen Airport is only 10 minutes away by car. When staying at the hotel, you can relax with a drink in the atmospheric lobby bar with its contemporary design or enjoy a meal in the stylish restaurant. 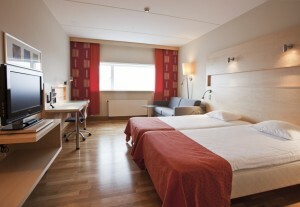 Scandic offers wireless internet access throughout the hotel at no extra charge. The hotel has a fitness centre and parking facilities available for a fee. All rooms are non-smoking.